Whenever you watch the war movies about WW II and Korean War, you will find a weapon carried by most G.I., and this rifle helped American troops to win WW II. 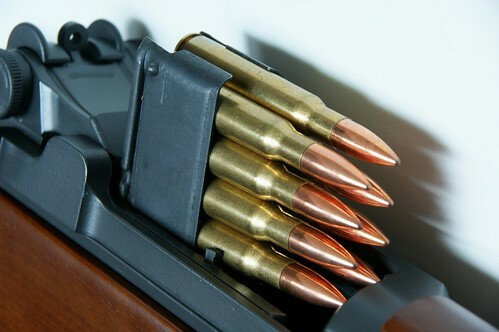 It is the M1 Grand rifle, the first semi-automatic rifle generally issued to troops in the world. 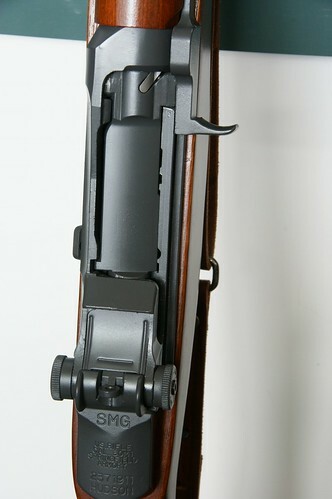 This M1 Grand rifle non-firing model gun is manufactured by Hudson, a Japanese model gun company which is famous of high quality model guns in both non-firing and cap-blowback types. I got this M1 about 2 years ago through a store's close out sales, so I paid about half of the street price for it. This model gun is fully functioned as a real one except firing. Also, it can be disassemble and re-assemble as the real one. This is the fun to have this kind of non-firing model gun! Recently, I got a new friend for M1 Grand from a bidding site, a M1 Grand bayonet manufactured by Utica Cutlery during WW II. It fits the M1 Grand model gun perfectly! 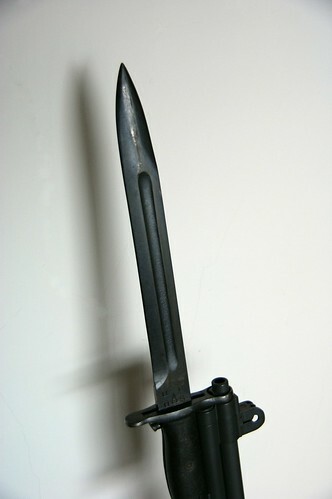 There is no need to do any modification, and the bayonet works well with the bayonet lug of the model gun. I am not that old enough to have a M1 Grand when I served in Army, but I do enjoy to own this model gun as a tribute to all those people fought with M1 Grand.